Would you like to change your life? Do you long for a sense of community? More time for yourself? Would you like to take better care of your health, reduce stress, and create more balance in your life? Well, you’re not alone. More and more people are tired of the fast-paced, frenzied ‘‘information age’’ and are interested in higher-quality lives — lives in which they have more time for themselves and their relationships, more energy to invest in their emotional, physical, and spiritual well-being. Whether you’re a corporate executive working sixty hours a week, a single parent trying to raise a family, or someone who’s tired of feeling stressed out and pressed for time, you have a choice about how to live your life. You can step back, reevaluate your priorities, and make a conscious decision about the future you’d like to create. How do you make such a decision? Where do you turn when you decide to improve the quality of your life? When people hear that I’m a coach, the first question they inevitably ask is: ‘‘What sport?’’ Once I tell them that I’m not an athletic coach and that I coach people to create lives that they love, they wonder how coaching is different from therapy. It’s understandable that most people would confuse the two — therapy is the closest model we have to this new profession called coaching. But the two are very different. Coaching is not about processing your emotional history or diagnosing and treating mental health issues. Coaching is action oriented, with a focus on a client’s current life and plans for the future; although therapy deals with a client’s current life, the focus is usually on the past and the healing of emotional wounds. There can be overlap between coaching and therapy, and a well-trained, experienced coach should know when a client needs therapy instead of coaching. Because of this, I’ve developed relationships with experienced, licensed professionals, and it’s not uncommon for us to refer clients to each other. There is a growing need for more than what therapy provides. In therapy, clients may talk about the changes they’d like to make in their lives, but the ‘‘how to’’ and the resources are often missing. Yet such information is critical to my clients’ success. Clients want someone to help them design a new life. They want a guide who can anticipate the obstacles on the path to this new life and help navigate around them. They want a partner who will remind them of their greatness when they forget, give them the tools to get unstuck, and challenge them to take action in spite of their fears. This need is now being met by personal coaches. The need for coaching became evident to me while I was working as a tax consultant more than fifteen years ago. The time spent with clients was often very personal, requiring an intimate look into their lives. Typically, we’d talk not only about their finances (income, spending habits, and debt) but also about their medical history, family goals, and career plans. The questions they asked often concerned decisions that needed to be made about relocation, relationship conflicts, business dilemmas, or the challenge of balancing work and family. This led to longer conversations about life in general. Although tax consulting can be a straightforward, ‘‘just the facts, ma’am,’’ kind of job, my practice developed in a different direction. Year after year, in addition to their tax folders, clients brought me their life stories, wanting my advice and support. They needed a sounding board, an objective listener who could provide a fresh perspective. I learned how to create an environment in which people could feel comfortable and safe enough to talk about their lives freely. In private, they would share with me their fears and concerns. Business owners, afraid of losing clients if they raised their fees, would let their own well-being suffer instead. Corporate employees, needing to support their families, struggled with how to handle political issues at work or the insensitivity of bosses. Together we found solutions to the problems that were causing them stress. Sometimes, simply hearing an objective perspective would make all the difference in the world. Other times, finding the right language to communicate their needs allowed them to get unstuck and take action. Most important, knowing that they were not alone and that others grappled with the same kind of issues provided them with comfort and much needed support. Over time I became less interested in preparing people’s tax returns and more interested in helping them prioritize their lives to spend more time with their families or fulfill a secret dream, like starting a business or having a child. I decided to stop providing my tax consulting services and start responding full-time to the greater concerns of my clients. I began to do this by holding workshops called ‘‘Secrets of Success’’ and speaking to groups about everything from goal setting to relationship-building strategies. People were relieved to find someone who could help them overcome obstacles to better their lives. One thing was clear—there was a need for ‘‘life planning’’ but there was no one to turn to. This need for objective guidance and support has spawned the profession of coaching. Many people from all walks of life are turning to coaches to help them build better lives. The reasons may vary, but the bottom line is always the same — they want to improve the quality of their lives in some way. My client Shirley is a good example. Shirley is the vice president of sales for a fast-growing biotech company. By most standards, she has reached a considerable level of success — she earns six figures, shares a beautiful lakeside home with her husband, and is a recognized leader in her field. But Shirley doesn’t feel successful; she feels exhausted. Her day begins at 6 A.M. with a trip to the gym and continues nonstop until 8 or 9 at night. Most days — among the endless meetings, phone calls, and social engagements — she finds herself dreaming of a different life, a life that includes more time for herself, less stress, and a chance to express her creativity. Shirley’s tired of living her best life in her head. My client Joseph is a corporate employee who’s already been the victim of downsizing and is afraid that he’s headed in the same direction again. Joseph goes to work every day filled with anxiety, fearful that each day may be his last. After giving ten good years to his employer, an architectural firm, he knows that the marketplace has changed, and the company is now involved in restructuring. With mounting debt and one child headed for college, Joseph can’t afford to miss a day of work, let alone lose his job. And then there’s my client Norman, the owner of a successful financial investment firm. Norman travels at least twice a month to visit clients scattered throughout the country. He has eight sales associates who call him at all hours of the day and night and a fiancé who complains that they never spend quality time together. Norman feels like life is rushing by at lightning speed, and he’s starting to get nervous. He jokingly admits that he needs to stop and get a life, but he can’t seem to slow down. Joseph, Shirley, and Norman are caught in a trap. Each has come up against the kind of obstacles that prevent most people from taking control of their lives. For example, Shirley has no time for her life and feels frustrated by all the demands placed on her. She struggles to carve out time for the things she really wants to do — like taking a class and working in her garden. What’s stopping her is an inability to put herself first. Shirley needs permission to make her self-care a top priority over anything else. Joseph, on the other hand, appears to need another job, fast, but a new job is only part of the solution. The source of Joseph’s problem is his vulnerable financial state. His credit card balances are maxed out, his mortgage is too high, and his family spends more than they make. To truly be in charge of his career, Joseph needs to invest in his financial health. As for Norman, he may need to learn new skills to manage his employees better, but the first order of business is for him to manage himself. He’s running on adrenaline and must learn how to slow down and use healthier sources of fuel. As a personal coach, it’s my job to listen carefully, beneath the symptoms of a situation, for the source of the problem. If you’re feeling exhausted, a better diet or exercise program will certainly help, but you may first need to identify and eliminate what’s draining you. Or, if you’re constantly undermined by people who criticize you or put you down, setting boundaries can make a difference, but sometimes you need to trade in those unsupportive relationships for more life-enhancing ones. If work has taken over your life, finding a way to manage your time won’t solve the problem. Instead, you’ll need to manage yourself, get your priorities straight, and focus your attention on what really matters. Most important, if you long to live a more authentic life, one that reflects your values and desires, then you must give your spiritual well-being a more prominent place in your daily life. You think ‘‘selfish’’ is a dirty word. You have a hard time putting your needs before others and often end up feeling frustrated and resentful about the commitments you make. Your schedule does not reflect your priorities. You find yourself exhausted at the end of the day without enough time left for the things that are most important to you. You feel drained by people, places, and things. Your life feels like one long list of things to do that never seem to get completed. Your office still needs organizing, your home may be full of clutter, or you may feel drained by a friend or family member’s constant complaints. You feel trapped by money. You’re tired of not being able to make the choices you want because of financial constraints. You may be saddled with unwanted debt, struggling to make ends meet, or feeling unsatisfied with the way you spend your money. Adrenaline has become your main source of fuel. You’re constantly running from one appointment to the next. You’d like to relax but you can’t seem to slow down. Peace of mind seems like an impossible goal. You’re missing a supportive community in your life. You feel isolated or disconnected from others and long to share a deeper connection with a community of like-minded people. Your spiritual well-being gets last place in your busy life. You’d like to spend consistent time in meditation, prayer, practicing yoga, or other forms of spiritual self-care, but life keeps getting in the way. These are the seven blocks that, when given time and attention, can easily be turned around. Overcoming these obstacles is the focus of this book. If you’re willing to work hard and invest your time (which this book will help you find!) and energy in this process, I promise you, your life will change dramatically. You can make the shift and put yourself in charge of how you live your life. You can live a life you love, and I’d like to show you how. I ask provocative questions. I rely on the inner wisdom of my clients to provide important insight into what is needed to plan the next step. I give direct advice and information. Drawing on personal experience as well as my work with others, I provide a variety of expertise and resources. This helps clients to avoid the mistakes that others have made. I provide the focus and structure of ongoing support needed to stay in action. I celebrate clients’ successes, hold their hands through difficult periods, and act as a steward for the lives they most want. I’m their partner, and my only agenda is their success. Since my early years as a tax consultant, I’ve learned a great deal about coaching others. My formal training as a coach, my life experience, and, most important, my clients, have taught me a lot about what people want and what gets in their way. Although this kind of experience and training is important, equally important is my commitment to model a high-quality life. I’ve grappled with the same issues my clients are dealing with. I’ve worked ridiculous hours, built a successful business, made plenty of mistakes in relationships, and paid little attention to my health. Over the last several years, I’ve used the process in this book to improve my own life. I know it works. I’ve made the changes that allow me to live exactly as I want to live. My life is a work in progress, and, unlike a therapist, sharing my own personal experience is part of the coaching relationship. Clients generally decide to work with me because they’re ready to make significant changes. They may want to change careers, downsize or upgrade their lives, fulfill a secret dream, or slow down and spend more time and energy on what really matters to them. We start the coaching process with an expectation to spend a minimum of three months working together. However, once we get started and they experience the power of this unique partnership, they often stay much longer. The initial process of coaching is like building any important relationship. As we spend time getting to know each other, a sense of trust is built that allows clients to tell the truth about their lives. To facilitate this process I ask clients to write a life story that chronicles the significant events of their lives and includes any present-day challenges and frustrations. This information gives me a good idea of where the client has been, what’s draining their energy, and which obstacles are causing them the most trouble. In the beginning many clients tell me that they can’t afford to live a life they love. I tell them they can’t afford not to. The excuses seem real and insurmountable — their cost of living is too high, so they stay at unfulfilling jobs; they’re exhausted with the pace of life and lack the energy needed to make a change; they’re too old or too young; it’s too soon; it’s too late. The most crippling excuse of all is they believe they are victims of circumstance, powerless to change their lives. Making the decision to change your life starts by making a personal choice. Too often we get caught up in all there is to do and forget that we’re the ones running the show. It’s easy to understand why. The high cost of living often requires two incomes to raise a family. Layoffs continue, encouraging employees to work long hours in the hopes of ensuring job security; and the ‘‘the more you make, the more you spend’’ mentality makes it hard for people of all income levels to make ends meet. This perception of reality makes a high-quality life seem impossible. But don’t let this reality fool you. Sometimes, as in Marsha’s case, the smallest change can make the biggest difference. Marsha was a single mom trying to manage a household, a full-time job, and two kids. She was stressed to the breaking point. Fed up, she thought that becoming her own boss would give her the relief she desired. Marsha yearned for the flexibility and freedom she imagined this would bring. The classic ‘‘supermom,’’ Marsha was strong and determined. She decided to start a cooking business in her home and asked me to help her develop the plan. As I gathered more information about Marsha’s life, it became clear that she was too overwhelmed to make this kind of change so quickly. I explained that making important decisions (which would impact her family) while under stress was a recipe for trouble. Before she could even think about a new business, Marsha first needed to free up her time and energy. More often than not, clients simply need permission to take good care of themselves. During our initial coaching session, I suggested to Marsha that we focus on her self-care and look for small changes she could make to give herself more time and energy. I asked her to hire a housekeeper to handle the cleaning and laundry, and I gave her the names of several to call. Providing this resource made it easier for Marsha to take action quickly before any reservation set in. I also recommended that she find a babysitter to give her at least one night during the week to herself. She arranged to exchange babysitting evenings with a friend in the neighborhood. Although these seemed like small changes, they had big results. Marsha could now relax more in the evenings and enjoy time with her children on the weekends. With the added time and space in her schedule, her life began to feel more balanced, and from a more centered place she could rethink her plans. Marsha agreed that diving into a new business was a mistake. Instead, she spent the next six months eliminating the energy drains in her life, trimming her spending habits to save extra money, and talking with friends about her business goals. Over time, these friends started sending her clients one by one. Marsha was then able to make a transition from a full-time job to part-time work as she continued to build her new business in an orderly fashion. One year later, Marsha had a good, solid client base and was able to quit her job without any interruption in income. Creating a life that you love takes courage, commitment, and hard work. Most clients are surprised when I ask them to focus on their lives instead of their careers or personal goals. I’ve learned that shaping up one’s life is the key to success. It’s my job to help clients overcome the blocks to a high-quality life by staying focused on the steps that will get them from where they are to where they want to be. My initial work with clients is focused on self-care — freeing up their time and identifying and eliminating what drains their energy. The idea of adding more work by encouraging them to set goals or take on anything new makes no sense when they’ve already got a full plate (and most of them do). Instead, I focus on clearing the plates to immediately improve the quality of their lives. Sometimes it feels impossible to focus on your life when a demanding job is taking up all your time and energy. This is when it’s important to remember that you are in charge of your life. With the right tools, you can make even the most challenging situation work for you. Let’s revisit Shirley’s situation to further explain my point. Shirley manages seventy-five employees in her sales division. She is responsible for increasing revenues by 25 percent before the end of the year. Feeling stressed out and overworked, Shirley was concerned with taking care of her health while trying to meet this goal. As I became familiar with Shirley’s typical workday, I could see why she was on overload. Her voice mail filled on a daily basis, and she was overwhelmed with unreturned phone calls. She often arrived late for meetings (and sometimes missed them completely). And she drank coffee by the gallon. Not only was this busyness taking its toll on Shirley — it was frustrating her staff as well. Once I had a good idea of what was going on, I told Shirley the truth as I saw it — she needed to get some support and start taking consistent time off for herself. I explained to her that without a strong foundation for her life, any business success she achieved in increased sales would be short lived. The first step was to give Shirley permission to put herself first. She needed to let go of control and start delegating. Each week, we reviewed her voice mail message list and developed strategies for her administrative assistant to handle most of the calls. As Shirley’s willingness to relinquish control increased, she gradually handed over responsibility to her assistant. Within two months, her assistant was retrieving and handling 90 percent of her calls. In the beginning, Shirley would never have thought it possible to delegate this type of task. But with permission and a plan that worked, what was once impossible was not only possible but much more effective. Shirley also made a commitment to leave the office at 5:30 instead of the usual 8 or 8:30 P.M. This allowed her to spend the evenings with her husband and have time in her garden, something that always helped her to relax. At first, Shirley was concerned that this would be setting the wrong example to her staff, but the opposite occurred. Shirley was able to get her work done in less time. Her commitment to leave at 5:30 made her more focused and productive during the day, and she was able to be much more present for her staff, giving them the quality of direction they needed to do their jobs well. I also encouraged Shirley to schedule fewer meetings and arrive on time to rebuild the trust she had broken with her staff. By the end of six months, Shirley felt that her life was much more balanced, and her division had increased sales by 15 percent. These are the kinds of decisions and actions that create true success. Put yourself at the top of the list. You’ll learn to make the practice of extreme self-care your new standard for living. I’ll show you how to build a strong relationship with yourself and connect with your inner wisdom to create a life that reflects your true desires. Get your priorities straight. I’ll show you how to stop reacting to life and start taking control of what gets your time and attention. You’ll set new priorities that mirror what’s really important to you and learn strategies to ensure that they are honored. What’s draining you? I’ll show you how to identify and eliminate what drains you. Whether it’s a disorganized office, a cluttered home, or the friend that constantly complains and drains your energy, I’ll show you how to plug those energy drains once and for all. Invest in your financial health. You’ll learn specific ways to get your financial house in order and build financial reserves so that you no longer feel like a victim to life. And you’ll attract more money by practicing these basic money management skills. What’s fueling you? I’ll show you how to kick the adrenaline habit and use healthier forms of energy — like the company of good friends, fun exercise, and soul-nurturing activities. Build a ‘‘soulful’’ community. I’ll suggest specific ways to surround yourself with a community of high-quality relationships that will support, challenge, and encourage you to be your best. Honor your spiritual well-being. I’ll show you how to take time for the most important relationship of all — the connection to your inner wisdom, the voice of your soul. You’ll create a personal practice and spend time every day nurturing your spiritual well-being. As you incorporate these seven strategies into your life, you’ll feel better. You’ll find that you’re more connected to yourself and others and have a greater sense of what’s really important. And then, a funny thing happens. You actually begin to attract better things toward you. Like my client Nicole, you send a different message into the world, and what you get back is sometimes beyond what you could have imagined. Nicole sounded discouraged when we first spoke. She said she felt frustrated with the direction of her life and wanted a miracle — Nicole wanted a new life. She felt lonely most of the time and isolated in her work as a graphic designer. She had lost touch with several friends and spent weekends alone working at her computer. Over the next year Nicole focused on building a relationship with herself and getting her life in order. She bought a journal and began writing in it almost every day. She kept track of how she felt as she went through this process, wrote letters of support to herself, and made lists of things she felt grateful for. A self-proclaimed pack rat, she went through old boxes dating back to her college years and threw out all the old junk. With my support, she handled the difficult things she’d been avoiding — like getting her finances in order, creating a nurturing home, and ending a two-year relationship that she had outgrown. Nicole was slowly realizing that she had a choice about how to live her life and that fear had kept her from taking action. With someone on her side to guide her through the process, it became much easier to make the necessary changes that would give her the kind of life she desired. As she started to feel better about herself, the world began to see her differently. Nicole loved children, and while volunteering her design services to a local school, she was offered a job as a creative director for a new children’s educational center opening nearby. This job would allow Nicole to use her creative talents to help others and meet new friends. Nicole’s health improved, she rarely felt discouraged, and she even lost ten pounds of extra weight she’d been carrying for several years. Nicole also began to reawaken her spiritual life by writing letters to God in her journal and attending a local Unitarian church. She felt a deepening connection to a Divine power, which added a depth of meaning to her life that she had not experienced before. One year later, Nicole said she felt like a different person — a happy person living a life that she loved. Strange as it may sound, I now encourage my clients to focus less on finding the best career, business opportunity, or relationship. Instead, by helping them to focus on basics like creating more time for themselves, learning to say no, and investing in their financial health, our work together becomes a spiritual journey. As they focus their attention on improving the quality of their life, the life they are meant to live unfolds before our eyes. 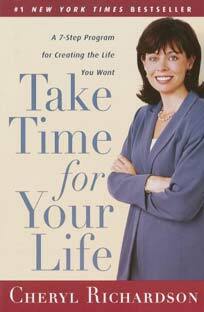 This book captures this journey in a program designed to attract your best life. If you’d like to improve the quality of your life, this book provides an important ingredient for your success — the guiding hand of someone who’s helped others do the same. As your personal coach, I’ve included the same checklists, exercises, and resources that have helped my clients overcome the obstacles to better lives. Choose a person (or persons) you can trust. Be sure that they have the time and desire to commit to the process of completing the book. Pick a regular time to meet (at least once a month). You can do this in person or over the phone. Read one chapter at a time before getting together. Start the meeting by sharing your success. What did you accomplish? How do you feel? Applaud each other for a job well done. Spend time discussing the chapter that you’ve read in preparation for this meeting. Complete any group exercises contained in the chapter. Decide on specific actions that you’ll each take before your next meeting. Ask for help. Use the last fifteen minutes of the meeting to share any support that you need. What’s stopping you from moving forward? Where do you feel blocked? What do you need to take action in spite of your fear? A helping hand? An extra phone call to check in? A specific resource or referral? Buy yourself a journal to use in conjunction with this book. Each time you see the words ‘‘Take Action!’’ use this as a sign to take action immediately. One small step will make a big difference. As soon as you finish a chapter, start with one easy step. Success builds momentum, and before you know it, you’ll find yourself excited to move onto the next step. Ask for help. If any part of this program feels too challenging, get the support you need to stay in action. Whether it’s from your partner or your coaching group, speak up and ask for help. You’ll also find help in the resource section at the end of each chapter. These sections contain the names of books, videos, and relevant people, as well as other information that can make it easier to take action. Celebrate your success. After completing an action, take time out to reward yourself. Take your time. The program contained in this book is not a quick fix. It’s meant to be worked through over time. For most, this program could take one to three years to complete. Stay open-minded. Some of the stories you’ll read throughout the book seem magical. They are magical. When you make your self-care a priority and take action toward your highest good, you ignite the magic that’s available to us all. A divine force will guide you toward a high-quality life. Watch for this magic along the way — it’s the best motivating force of all.